LEO Davis, a receptionist in the Oncology Unit at Birmingham Treatment Centre, went sky diving for the first time to raise money for Cancer Research. He raised £850, which included support from the granddaughter of a cancer patient. “Since I work at the Oncology Unit, I have got to see so many patients suffering from cancer, so I just want to help by any means,” said Leo. “I thought to myself, ‘how am I going to get people to sponsor me? What am I afraid of the most?’ and because people know I am very scared of heights I thought if I do sky-diving, people would be willing to give”. 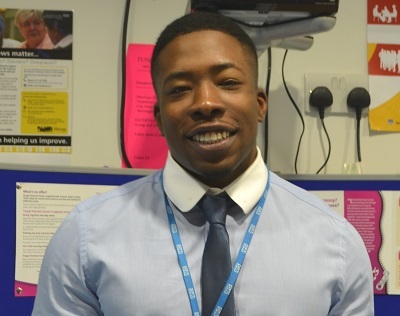 “My future plan is to become a nurse specialising in Oncology, so I can give people more support,” he added.